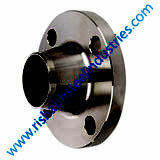 High Yield Flanges designs are available as weld neck flanges (WN), socket weld flanges (SO), blind flanges (BL), lap joint flanges (LJ), plate flanges (PL), threaded / screwed flanges (TH), orifice flanges, spectacle blind, spectacle flanges, orifice plate, blind spacer and also blank. 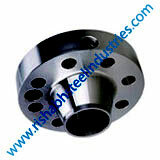 Our flanges faces are also made to standardized dimensions and are typically flat face (FF), slip-on flanges (SO), raised face (RF) or ring joint (RJT) styles. 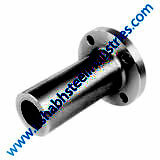 High Yield CS A694 Flanges has great resistance to stress corrosion cracking and also gives high resistance to corrosion fatigue and erosion corrosion. 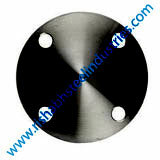 High Yield CS ASTM A694 Slip on Flanges Manufacturers In Mumbai combines high strength, good ductility and with outstanding corrosion resistance qualities. 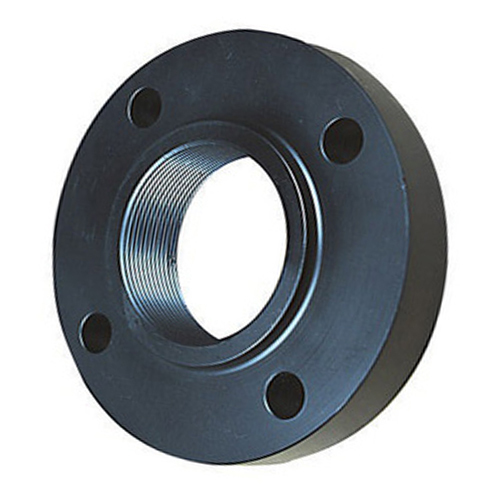 Our High Yield Carbon Steel A694 Plate Flanges are used in Chemical processing, Heat exchangers, Pumps manufacturing, Marine engineering, Hydro-carbon processing, Petrochemical plants, Valves manufacturing, Nuclear power projects, Oil & Gas equipment. 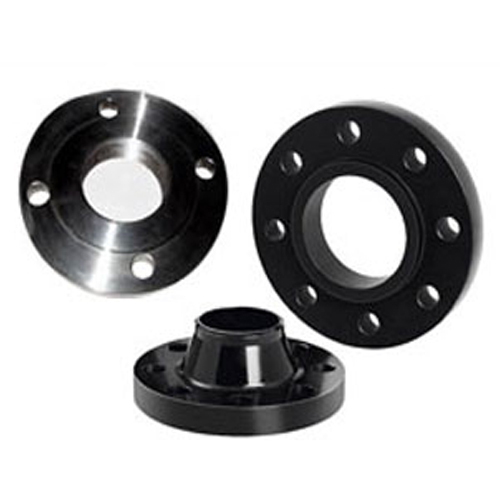 High Yield CS A694 Pipe Flanges are offered with a Mill Test Certification, NACE 3.1 Certification and after world class Third party inspection. 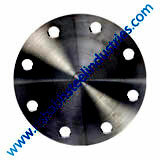 Ready stock of High Yield CS A694 Flanges in Seamless and Welded to immediate delivery for break down & in ongoing projects. 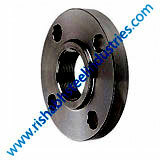 The rishabh steel exports worldwide is geared towards providing High Yield CS A694 Backing Flanges, A694 Tube Flanges, CS A694 Sae Flanges, High Yield CS A694 Screwed Flanges, A694 Socket Weld Flanges, A694 Slip-On Pipe Flanges, A694 Square Flanges, A694 Ansi 150 Carbon Steel Flanges in bulk. 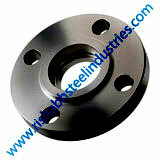 We are one of the premier Quality High Yield CS A694 Plate Flanges suppliers in countries like Canada, Finland, Italy, Germany, Netherlands, France, China, Australia, Sweden and the UK. 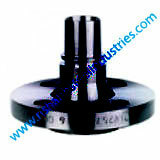 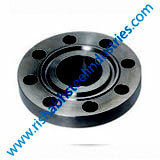 Rishabh is one of the leading High Yield CS A694 Orifice Flanges trading houses based in cities like Aurangabad, Gurgaon, Indore, Faridabad, Jaipur, Kolkata, Nagpur, Khopoli, Kolhapur, Raipur. 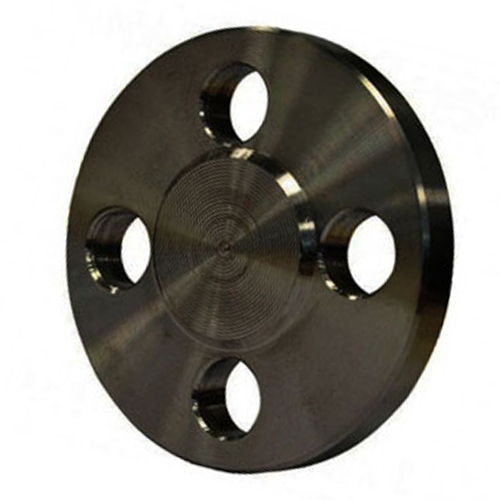 We have a comprehensive inventory of High Yield Carbon Steel A694 Flanges in a large variety of types, sizes, schedules, and pressures. 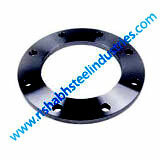 Rishabh Steel provides a wide range of A694 Carbon Steel Flanges such as High Yield A694 Carbon Steel Flanges, High Yield CS A694 Slip On Flanges, High Yield A694 Plate Flanges, High Yield A694 Weld Neck Flanges, High Yield A694 Blind Flanges & available in all shapes & sizes. 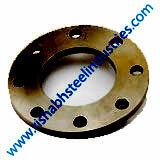 Our High Yield CS A694 Weld Neck Flanges are as per ANSI B16.5, ANSI B16.47, B16.48, BS4504, BS 10, EN-1092 standards. 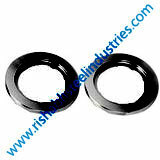 Buy from High Yield CS A694 Slip on Flanges specialist suppliers in cities like Chennai, Ghaziabad, Bhosari, Ludhiana, Ahmedabad, Bangalore, Pune, Rajkot, Delhi, Vadodara. 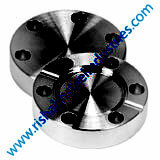 Get reliable & verified High Yield CS F52 Flanges suppliers in Dubai, UAE, Singapore, UK, Malaysia, Australia, Philippines and South Africa. 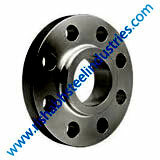 Carbon Steel A694 High Yield Blind Flanges at unbelievable price in India. 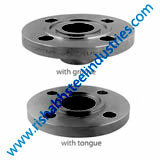 Visit High Yield CS ASTM A694 Threaded Flanges manufacturer's mill in India, ask for A694 High Yield F60 CS Plate Flanges free sample. 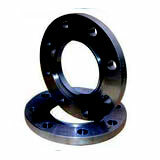 Please note this is an approx Cost of ASTM A694 High Yield CS Wnrf Flanges in India. 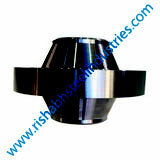 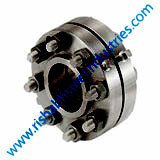 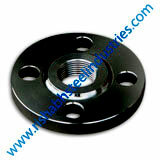 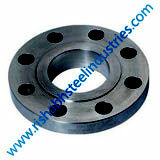 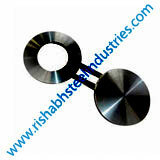 For final carbon steel a694 forged flanges price list please contact Rishabh Steel. 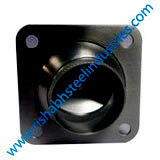 Rishabh Steel Industries is ISO & Crisil rated manufacturer and exporter of A694 High Yield CS Pipe Flanges, A694 Carbon Steel (dual marked and certified), ASME B16.5, raised face, annealed and fully machined, smooth finishas per MSS-SP6, ASTM A694 High Yield CS Flanges hardness as per NACE MR0175 and tested to ASTM A262 E and PMI. 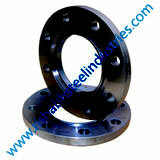 Prestige quality ASTM A694 High Yield CS Flanges manufacturers in India offer these A694 High Yield CS Flanges in DIN, ISO, JIS or ANSI standard. 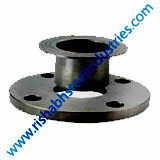 Rishabh Steel is a manufacturer and supplier of ASTM A694 High Yield CS Puddle Flanges offering in all Ratings up to 2500#, built a distribution network with more then 70 countries globally. 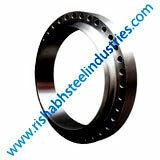 Manufacturing ASTM A694 High Yield CS Flanges in India, Rishabh Steel holds a wide range of A694 Carbon Steel Pipe Flanges in stock for immediate despatch throughout India & globally. 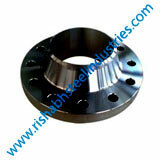 Rishabh Steel Industries is an ISO certified ASTM A694 High Yield CS flange exporter in India. 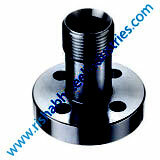 All of our High Yield A694 CS flanges are manufactured and tested as per the international standards such as ASTM, DIN, JIS, EN, GOST etc. 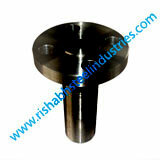 Rishabh Steel Industries is a highly acclaimed ASTM A694 High Yield CS threaded flanges distributor & dealer in your country. 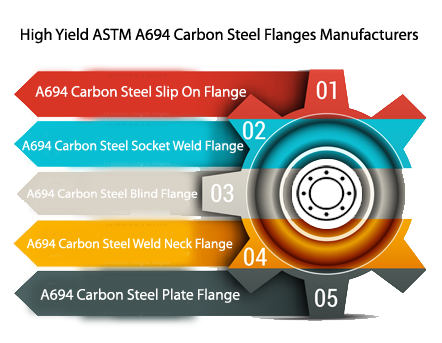 We also supply ASTM A694 High Yield CS reducing flanges in Asia, Middle east, GCC, Gulf, UK to supply with over 50 countries, we provide after sales service and instant delivery.